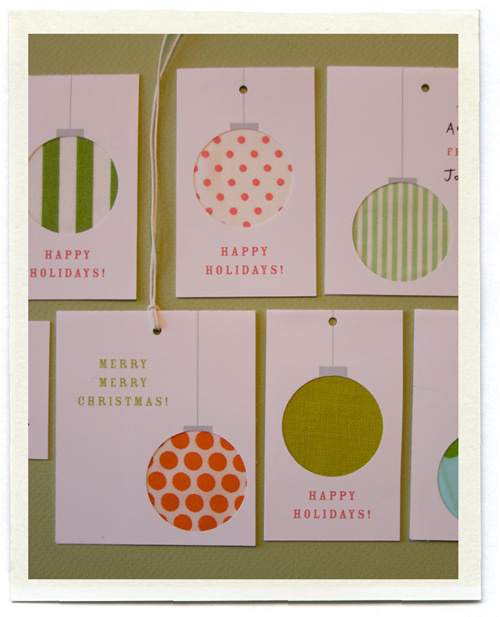 Brooke at Inchmark makes these hip gift tags. She calls them 'Last Minute Tags'. But unfortunately my last minutes are going to be occupied with shopping and wrapping. They are pretty neat though. I'd love to adorn my green and red packages with them. Cute and you gave me an idea. I will use fabric and cut it into rectangles and circles using my singer scissors and use my fabric pens. thanks for sharing cause I may not have thought of that and I think it will make a special touch to the gift. merry xmas.